Just recently we took our kids for their first visit to Port Arthur. It’s a place that represents a unique insight into the convict period of Tasmania’s recent history. 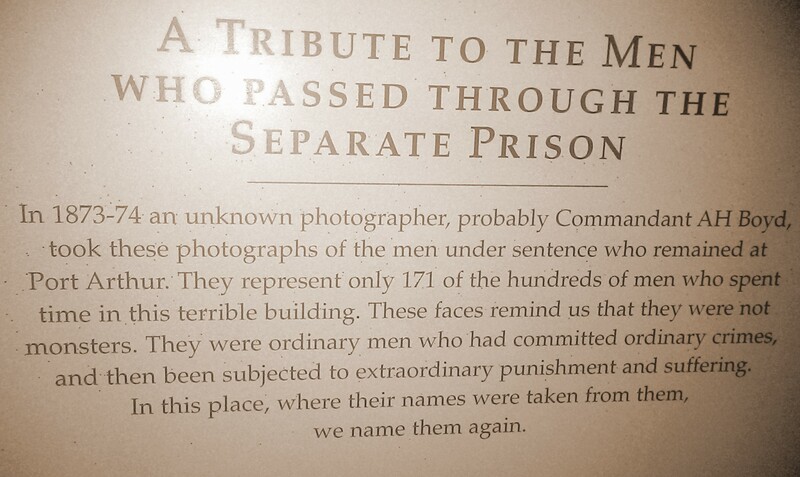 Operating as a secondary prison, it was home to men and boys who had been shipped to the colonial convict prisons, and then re-offended in some way. 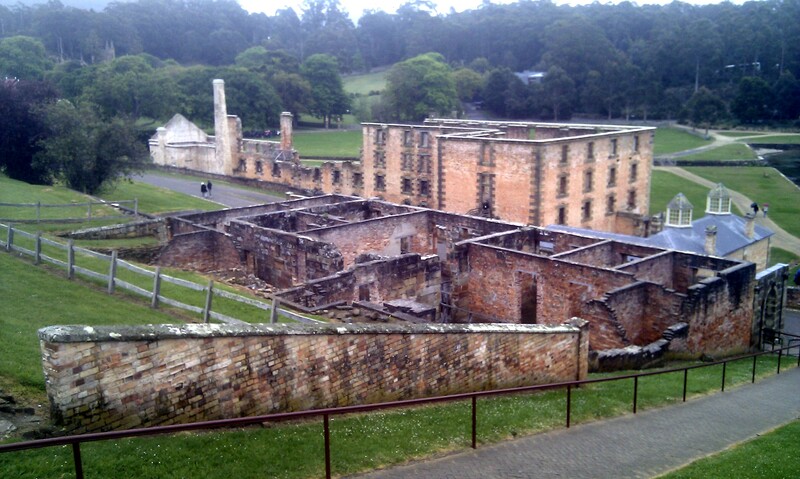 Part of the site at Port Arthur includes a restoration of what is known as the “Separate Prison”, a place of particular brutality and deprivation during its operation. Here men were essentially denied their humanity, forced to work in silence, deprived of inter-personal contact of any real sort, forced to wear masks when outside their cells. The idea was to confront the convict with their own broken-ness and force some kind of change to occur. We didn’t defend the choices made in those days, just observed that then, as now, people were working with what they new, what information was at hand. At that moment in time, taking away the individual humanity seemed to be an approach that might lead to restoration. The prison has now been restored to tell a different story, the story of the men who were held there, broken there, lived and died there. Now, 150 years later, there is a sense in which humanity is being returned to this unspeakably inhumane place. In this place, where their names were taken from them, we name them again. Those are powerful words, and a powerful statement. They in some small way restore something to those who had everything taken away. It’s a difficult time in our national story, the time of the convicts. It’s a time when so many had their names taken away. And it parallels another difficult part of our story, when indigenous Australians likewise had their names taken, had their humanity denied, were cast as incomplete, inhuman, and unimportant. And that is a story that generations on we still struggle to right. In our day, in our communities, who are the others whose names are taken away? Is it the poor, living below the poverty line, and powerless? Is it the person living with disability, the essence of their humanity not seen by those around them? It strikes me that part of the purpose of God for the church is to return names to those who have been stripped bare. At the same time as we have to acknowledge that at times we have been complicit, so we have to continue to honour, to name, to respect, to humanise. Who can you honour by returning their name? This entry was posted in australia, christian spirituality, mission, stories from my life, tasmania. Bookmark the permalink. ← the tulip: a metaphor?